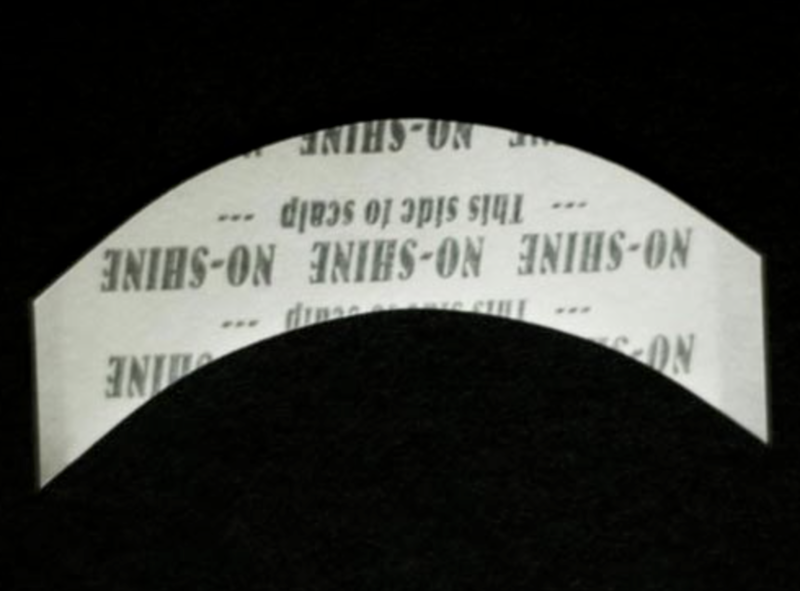 Walker No-Shine is a great extended wear tape with incredibly reduced shine similar in strength to the Supertape line. Used fro the front hairline. A great choice for attaching lace and thin skin bases. NOTE: If using on a skin base, remove carefully to avoid stretching the material. Avg. Hold Time: 4 to 6 weeks Quantity: 36 pieces per bag Walker No-Shine is a great extended wear tape with incredibly reduced shine similar in strength to the Supertape line. .
Red Liner tape for shorter bonds or used in conjunction with a stronger tape for easier clean up! Red liner tapes are a great solution for those of you that prefer a shorter bond. Holds from 1-3 days. 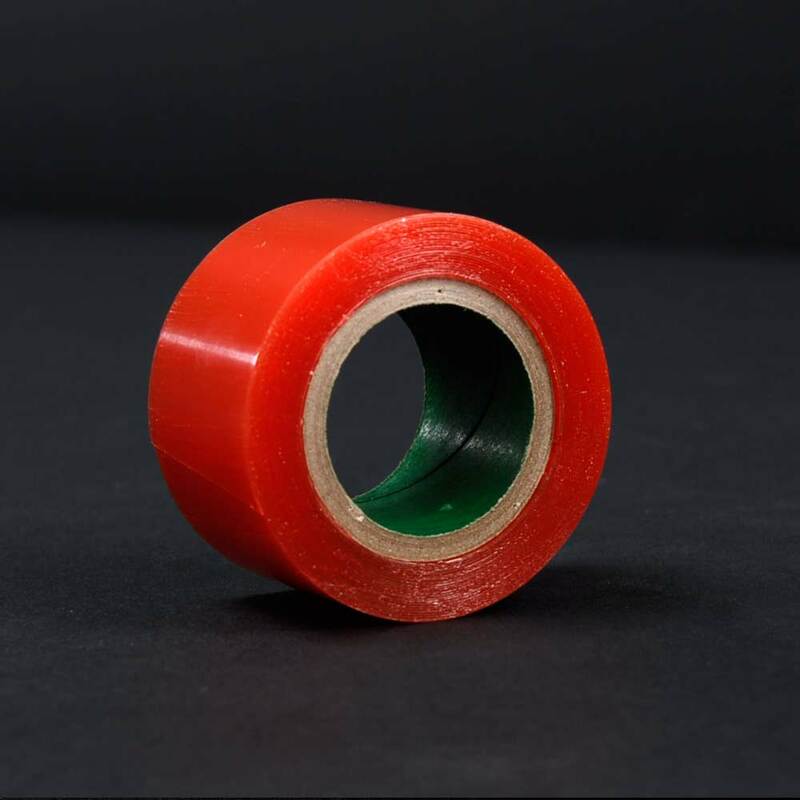 But if you're an extended wear fan, you may find this tape useful as well, because you can place red liner tape on your base and put stronger adhesives on top of it (like Proflex or an extended wear hair system glue.) This usually makes cleanup a bit easier. Supertape is an excellent extended bond hairpiece tape which has become popular among our customers. 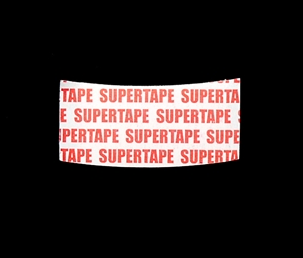 Supertape is a brand new hairpiece tape that has recently become popular for extended wear bond. It boasts an incredibly long-lasting hold time, similar to our Proflex line. However, many of our clients claim that it does not break down as much and is easier to clean after removal. 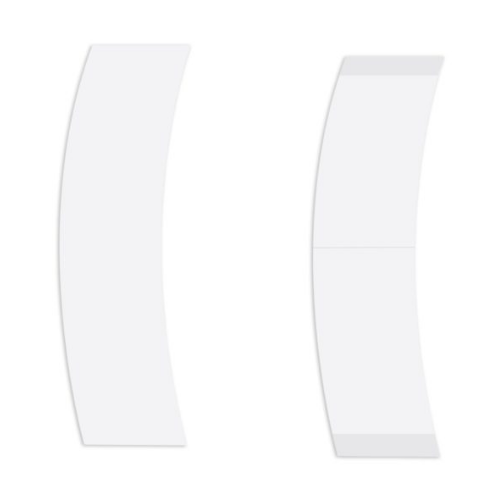 Top Guards hypoallergenic formula coats with a tough, thin protective film that stops irritation from tape and adhesive. Top Guard helps prevent irritation of scalp due to tape, excess unit wear, sensitive skin, allergic reaction. 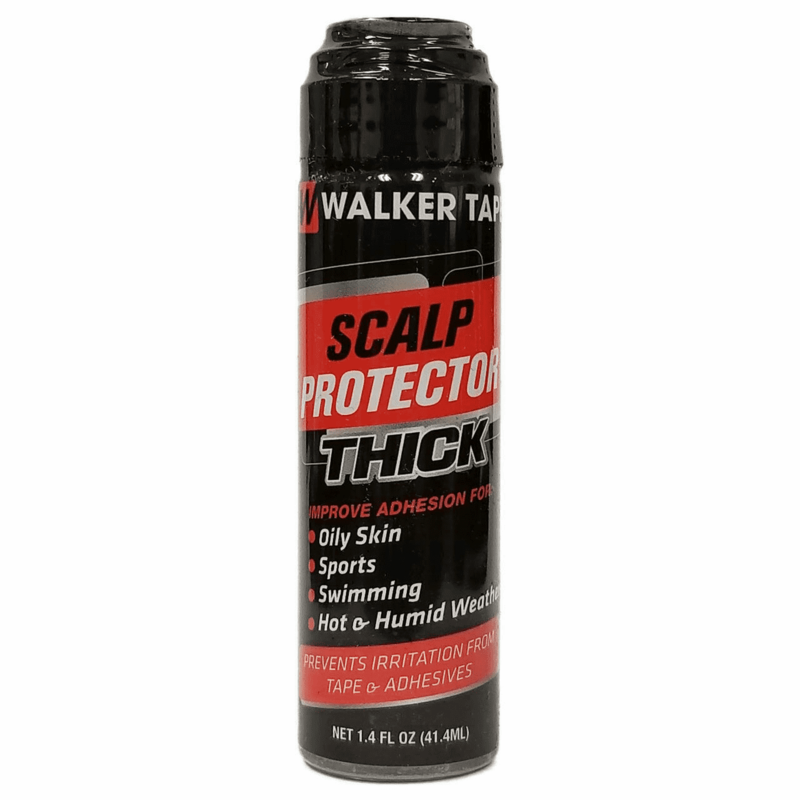 Forms a tough, thin, protective barrier which actually adds to the adhesion of tape and adhesives without dissolving from the scalps perspiration. 1.3 oz Dab-on Bottle. DIRECTIONS Remove any residue with either Super Solv, Super Solv Plus or EZ Off then cleanse with Brisk Skin Cleanser. Apply Top Guard to skin and let dry (about 1 minute). Top Guard is not meant to replace adhesives. 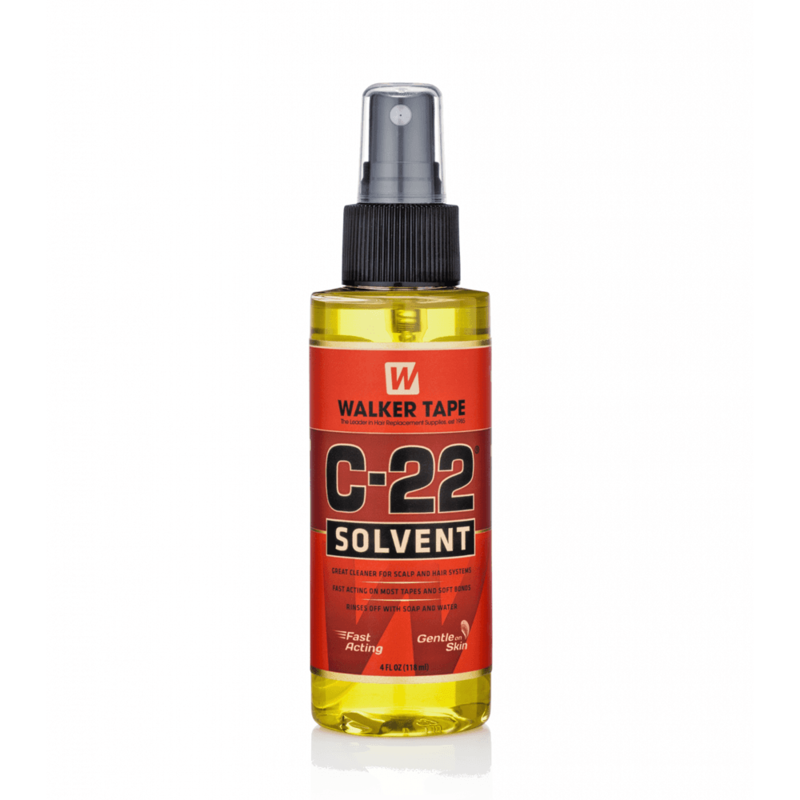 C-22 is a crazy popular citrus solvent for hair systems! It really cuts through the muck and leaves your unit clean and ready for the next attachment. C22 Citrus Solvent 4oz C-22 Solvent Citrus adhesive remover is a citrus based, fast-acting cleaner for scalp and all hair systems! Works faster and more effectively. Gentle on skin and rinses off with soap and water. 4oz spray bottle. Caution: COMBUSTIBLE. Do not use or store near open flame. External use only. Do not apply to irritated skin. Avoid eye contact. Keep out of the reach of children. Pre-test areas before using. Do not leave on silicone bases more than 2-3 minutes. DIRECTIONS: Spray on adhesive area. Reaction time in as little as 1 minute depending on adhesive build-up. Wipe or brush off residue. Shampoo and Rinse. 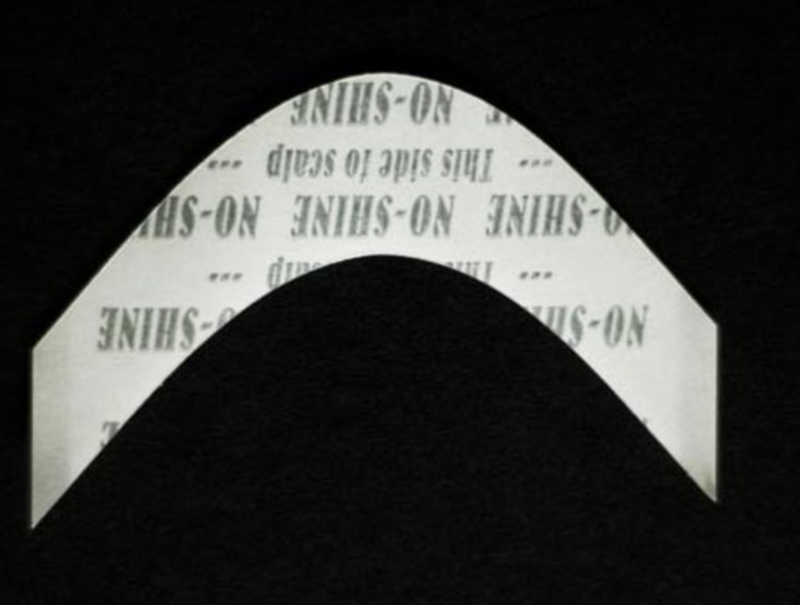 Lace Release reduces the chance of damaging lace or mesh frontals by releasing the adhesive or tape from the hair system. Used properly, most of the adhesive residue will remain on your scalp, not on the hair system. 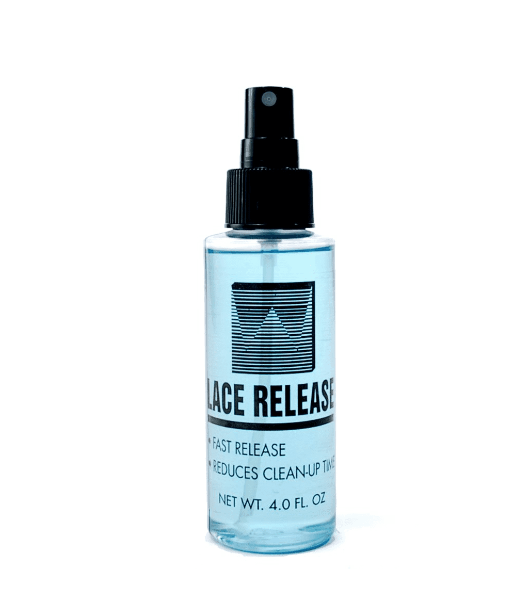 Lace Release is non-oily! 1.1oz dab-on bottle DIRECTIONS: To release lace from scalp, dab down through the top until lace releases from adhesive. Apply thoroughly until adhesive dissolves. Wipe clean then wash skin with soap and water. POPULAR EXTENDED WEAR TAPE! 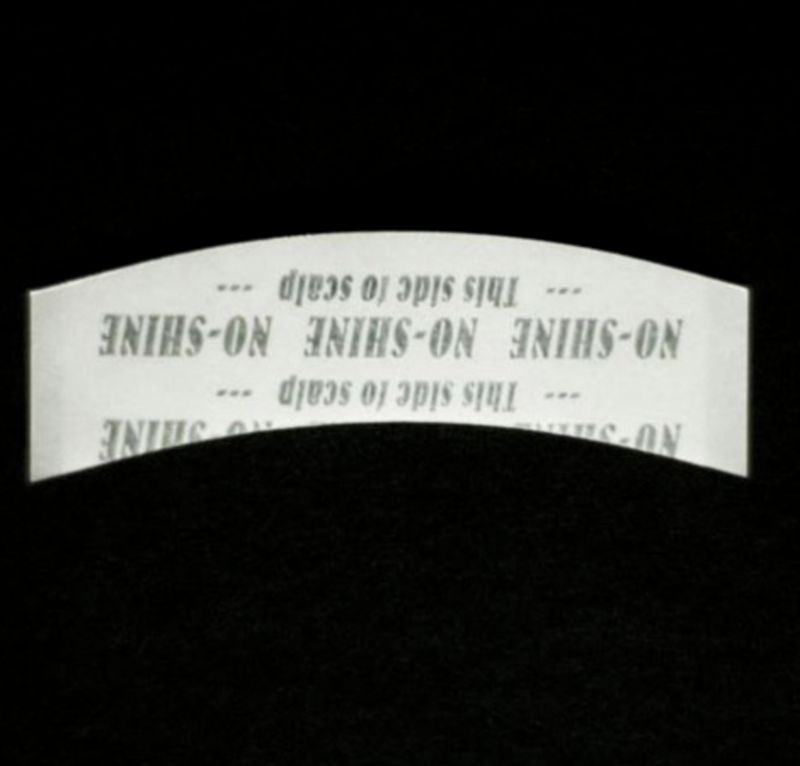 Skin-safe, waterproof, clear and odorless extended wear tape! 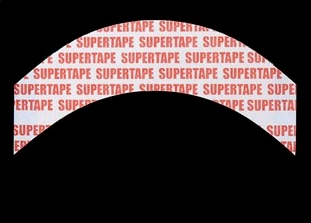 Supertape is a brand new hairpiece tape that has recently become popular for extended wear bond. It boasts an incredibly long-lasting hold time. Many of our clients state that this tape does not break down as much and is easier to clean after removal. Use instead of liquid adhesives to avoid the gooey mess and time-consuming clean-up. Supertape is an excellent extended bond hairpiece tape which has become very popular - 36pcs. 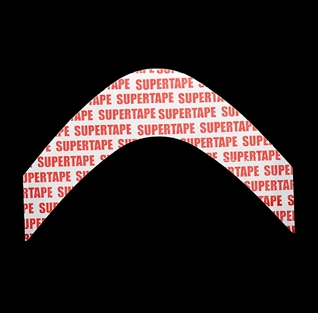 Supertape is a brand new hairpiece tape that has recently become popular for extended wear bond. It boasts an incredibly long-lasting hold time. Many of our clients state that it does not break down as much and is easier to clean after removal. Strong hold, cleans up easily, and easy to apply making it a perfect bond for hair systems and strong enough to replace adhesives. Excellent for a very impressive long hold time. With a 4-6 week hold time this tape beats all tapes where maximum hold is concerned- 36pcs. CUSTOMER REVIEW: The BEST tape I have used so far. 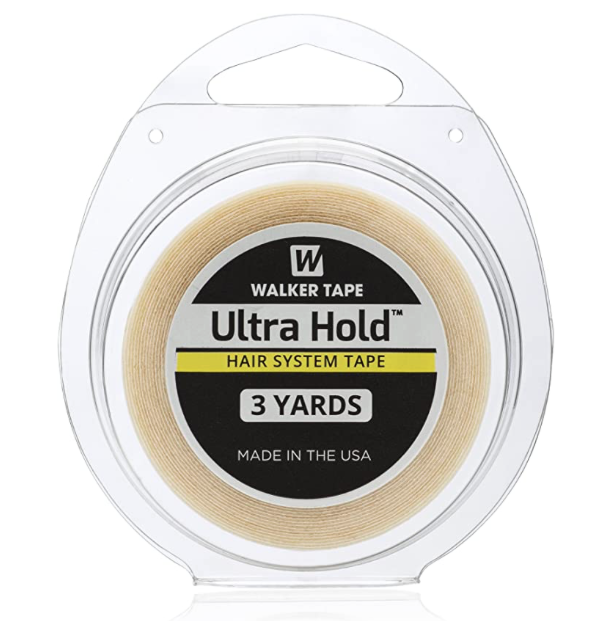 It has a strong hold, cleans up easily, and is easy to apply.These are highly recommended and great for small areas where larger tape sizes cant completely cover. This tape is the strongest tape available on the market. Supertape is an excellent extended bond hairpiece tape - 36pcs. Proflex mini tab tapes yield an impressively long hold time. With a 4-6 week hold time this tape would be a great choice for maximum hold - 36pcs. CUSTOMER REVIEW : Excellent item due to its breathable function and the small size it offers. I really like the how it can hold for so long I had my system on for about 4 weeks straight and it really lasted. The clean up is very simple no stick residue to clean off it came off in one shot. I have ordered this time for the fourth time so far. With a 4 week hold time, waterproof, and a non-yellowing formula, Walker Ultra-Hold is a must for those that prefer extended wear. 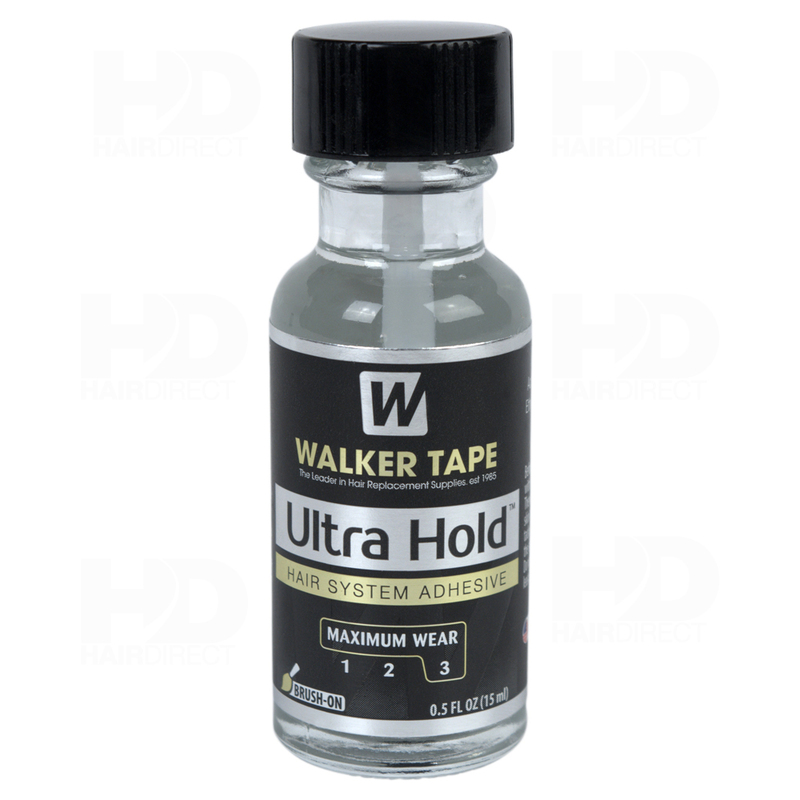 Walker Ultra Hold only is just not the name, BUT also a great description of what you will get. For use with extended wear bonding only. This adhesive can easily provide up to 4 weeks of super-strength attachment. It is also made from a waterproof, "non-yellowing" formula and comes with a brush-on applicator. 0.5oz travel size glass bottle. DIRECTIONS: Use a single thin layer, allow to dry before placing unit on head.